Dr. Crocker is CEO and co-founder of Shinkuro, Inc., a start-up company focused on dynamic sharing of information across the Internet and the deployment of improved security protocols. Dr. Crocker has been involved in the Internet since its inception. In the late 1960s and early 1970s, while he was a graduate student at UCLA, he was part of the team that developed the protocols for the ARPANET and laid the foundation for today's Internet. He organized the Network Working Group, which was the forerunner of the modern Internet Engineering Task Force and initiated the Request for Comment (RFC) series of notes through which protocol designs are documented and shared. For this work, Dr. Crocker was awarded the 2002 IEEE Internet Award. 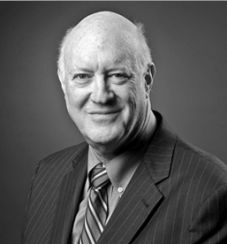 Starting in 2002, Dr. Crocker served as founding chair of the Security and Stability Advisory Committee (SSAC) of the Internet Corporation for Assigned Names and Numbers (ICANN). He subsequently joined the ICANN board of directors, including serving as chair from 2011 to 2017.